The first weekend of November saw the BL men’s squad travel up north to train with Doncaster RC for the first training camp of the season. 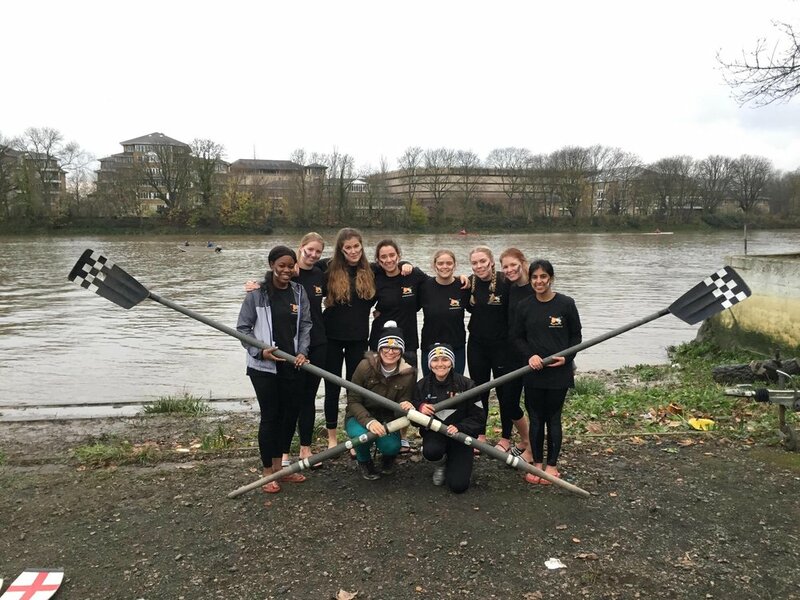 The 1st VIII had several successful outings in preparation for Cambridge head. Many of the men’s squad also tried sculling for the first time, with some hilarious consequences. Seat racing for the last bow side seat in the 1st VIII was successful. All in all a fun weekend. Following the success and all around enjoyment of our training camp to Doncaster last winter, we returned to Saad’s home in the North for a weekend of technical work and fitness training. We brought double the rowers this year, and packed in even more outings. We had a big focus on technical work, and with some coaching from members of Doncaster Boat Club we saw big improvements across all the boats. 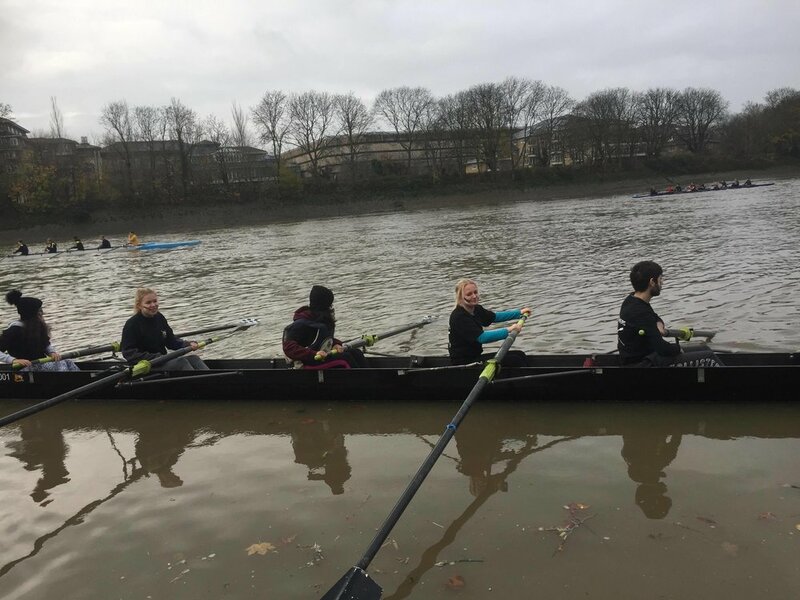 Not only was it a great opportunity to practice rowing on a smaller river in preparation for Cambridge Head, but also allowed many of us to try small boat rowing for the first time. Overall a very developmental and progressive weekend for BLBC. A freezing cold day and an 8am arrival signalled the start of the racing season for 24 BLBC freshers. The first race of the day was the fresher women’s first boat who were taking on ICSM 1. After a dramatic crab in the second stroke of the start (which nearly gave this fresher captain a heart attack) they recovered beautifully to win by nearly a length and a half. The girls‘ second race was Georges 1, again they were slightly behind off the start but found their rhythm and power to come through with a second win by half a length. 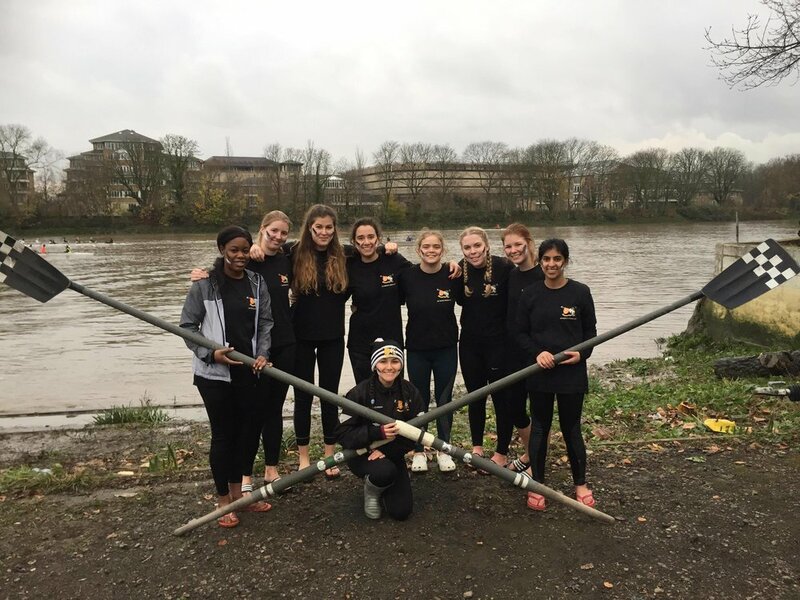 In the nail-biting final against RUMS 1 the girls lost by just a canvas, after drawing ahead by half a length and fighting over inches at the finish line. The men’s first boat faced GKT1 in their first race and beat them solidly with a whole length of clear water between them. Much like the women they faced Georges 1 in their semi-final and again beat them easily with 1.5 lengths between the boats at the finish line. 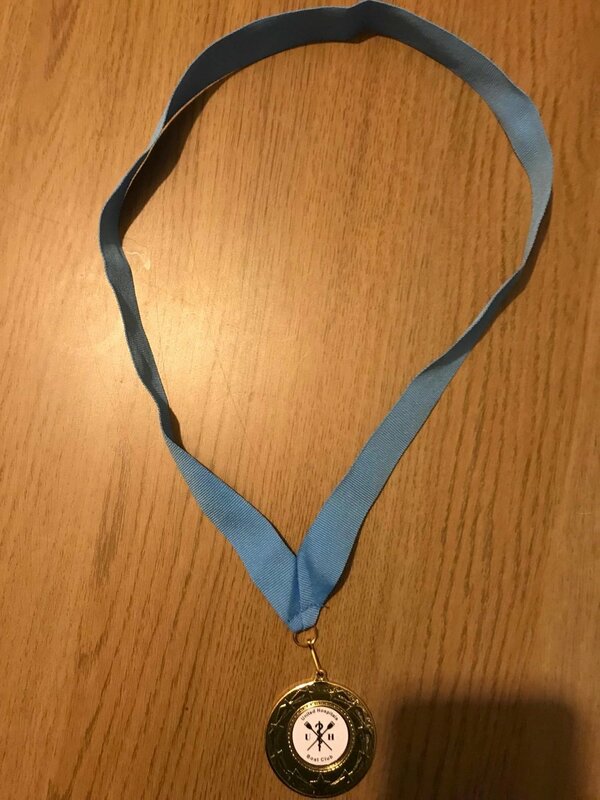 The final was once again against the same opponent: RUMS 1. Observing the racing at flood tide RUMS looked to be drawing ahead but by the finish line the boys had beaten them by half a length to take home the medals. This week members of BLBC took time out of training for Cambridge Winter Head to volunteer their time at Run in the Dark on the 15th November 2017. It is an event where thousands gather in Battersea Park to run 5 or 10k for charity. Run in the Dark plays a vital role in funding The Mark Pollock Trust’s mission to find and connect people around the world to fast-track a cure for paralysis. 12 members of the club, freshers and seniors got together to help the event run smoothly. We were in charge of marshalling along the course for the 2400+ runners to ensure they were all safe in the dark, having a good time and going the right way! In addition to this we also had several volunteers on bag drop and just being of general assistance in the chaos leading up the run. Everyone did a great job, a big thank you to all who helped out!